Pears are very prevalent this time of year also. Pears are one of the fruits that do not ripen on the tree. They are picked when they mature, but they are still “green”. What makes this recipe for easy? Instead of measuring out flour, sugar and the like, a cake mix is used instead. While you’ve got the abundance of apples in the fall, you must take advantage of it. Making your own homemade apple butter will enhance the flavor of any bread you choose to serve it on. 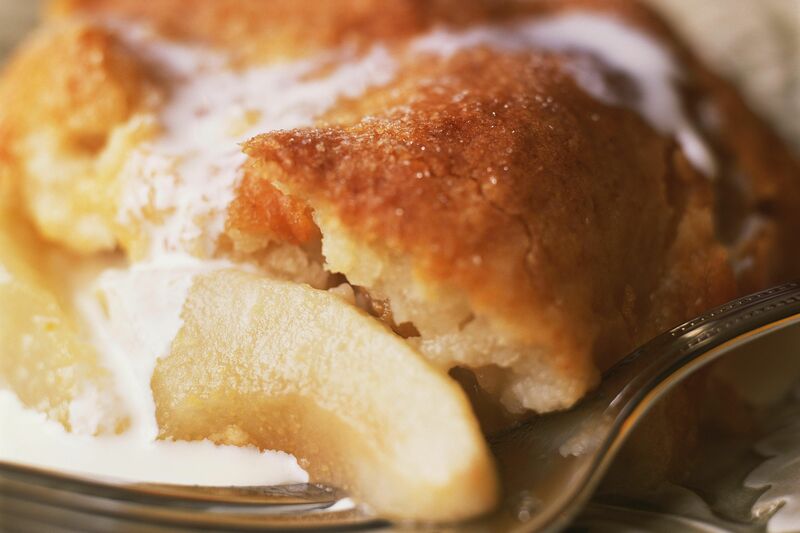 Everyone one needs at least one special apple cake for the fall. This one is it. Not only is it loaded with all kinds of warming spices, but it’s got a shot of apple schnapps in it too. With all of those soups you’re going to make for dinner, you need a good bread recipe. If you have a bread machine, this is the recipe to make in it. This Cheddar and Bacon Bread is good all by itself, but it is excellent with any type of soup, too. You’ll still get your protein when you serve it with a vegetable soup. Even though you can purchase maple syrup all year long, we just happen to think of it more during the fall with all of those lovely colored leaves. The flavor of this bread is not overpowering so it can be served with just about anything. This cake is one of the prettier bundt cakes we make. We believe that the cream cheese glaze is what makes this cake so special. There are two forms of ginger in this recipe along with other good foods like wheat germ and sour cream. This quick bread isn’t overly sweet, which some people may prefer over other types. About once a year, I take a loaf of this bread, warm from the oven, to a monthly potluck luncheon. I bring real butter along too, of course. The loaf is totally gone before we even begin our luncheon. I will tell you that is it a bit spicy. Spicy doesn’t always mean hot, which is the case with this quick bread. Spicy in this case means full of flavor. You do have the option of using pumpkin pie spice in this recipe, but don’t. You don’t want to miss on the full flavor you’ll get from the other spices. You’ve just got to have a least one caramel apple during the season, and this is certainly a fantastic one to choose. When you want a hands-free pie, look no further than hand pies. This recipe can be modified to make them with the fruit of your desire. A crisp is called such as the topping is crispy, which usually comes through the addition of old-fashioned oats to the topping mixture. You always serve a crisp warm and hopefully topped with ice cream or whipped cream. This is a crisp that you can always have the ingredients on hand.